The QX30 is the newest entry into the Infiniti lineup and the least expensive model from the luxury brand. The small crossover introduced for 2017, is a collaboration between Mercedes-Benz and Infiniti and shares its platform and powertrain with the GLA250. Infiniti designers cooked up an interesting blend of coupe, hatchback and crossover that doesn’t fit into the typical crossover SUV mold. This week we drive the 2018 Infiniti QX30 Premium AWD model. 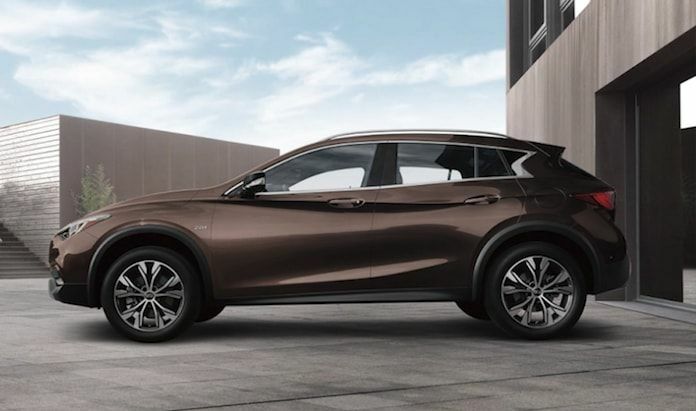 The Infiniti QX30 remains unchanged for 2018. How much more is the AWD 'premium' version? It may be more 'techie', but I like my QX50, 2016 3.7 V6, a 7 speed transmission that shifts and rear wheel drive & 325 HP..... MORE fun to drive. But in the real world, " in an accident, the bigger car wins". Last edited by mountie; 03-21-2018 at 03:41 PM.